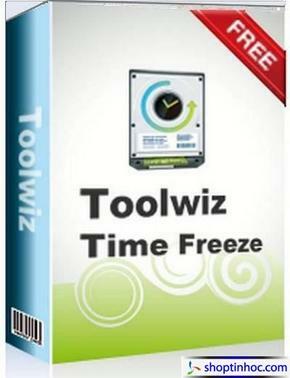 Toolwiz Time Freeze is a free instant system protection tool to keep your system safe and always like new. 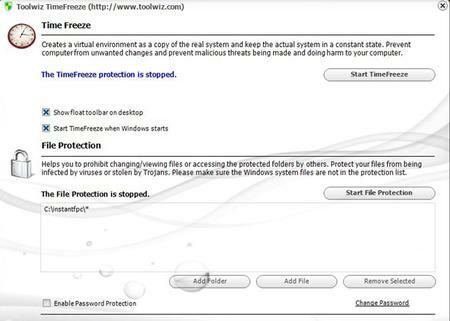 It protects your system from any unwanted changes and malicious activity in low disk level. With a simple click, it puts your actual system under virtual protection on the fly and creates a virtual environment as a copy of the real system, on which you can evaluate applications, watch movies, and perform online activities. It provides higher-level security to computer protection, and greatly improves the efficiency of virtual system.